There are several charting methods used by health care providers to help assure that appropriate information is included in the record. The practice you join may have a set policy for documentation format. The “SOAP” method is a commonly used format to help promote complete and consistent entries. S = Subjective data: the patient’s description of their symptoms or condition. O = Objective findings: the physician’s findings or observations about the patient. A = Assessment: the physician’s assessment of the subjective complaints and objective findings. P = Plan: the physician’s plan for current and future treatments. Documentation must be legible, timely, and clearly identifies who wrote what and when. 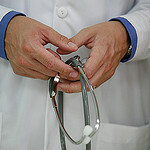 Strong bonds between the patient and physician reduces the risk of malpractice. It is important that you engage your patients so they see your humanity. Tell them about your interests, hobbies and family. Always follow up with angry patients. Ask patients what they think of the practice, whenever you can. Think about how you begin your first encounter with a new patient. These are the 10 Golden Rules for Physicians to Build Strong Patient Relationships. Once you are in the exam room, sit in a chair until you begin the examination. Looking down on patients makes them feel inferior. You want patients to feel and “know” they are equal to you. Read the chart before you go into the room. If the note in the chart includes the reason for the visit there is no need for you to ask the patient why he or she is there. Frequently refer to patients by name. It makes them feel you are connected and care about the whole person, not just their condition. Get personal. It only takes a few minutes. Ask about the patients’ hobbies, job or family. If you share an interest, so much the better. Apologize if you are late, but don’t act rushed. Your patients deserve your time. If you are relaxed and calm, they feel they have your attention and time. Do not permit staff to interrupt you when you are with a patient unless absolutely necessary. Interruptions make patients feel like they’re not a priority. Do not use medical jargon the patient won’t understand. Never ask a patient a question unless you are willing to give your full attention to listen to the response. Look at the patient when either of you are speaking. Avoid looking at the chart while conversing, and don’t interrupt. Once you’ve presented your diagnosis, treatment and follow-up plan, do not assume the patient understands everything you said. Ask for affirmation and be willing to clarify or repeat your summation or instructions. Before you complete each encounter, make sure that you have answered the patient’s questions. Failure to completely answer questions results in unnecessary phone calls and frustrated patients.